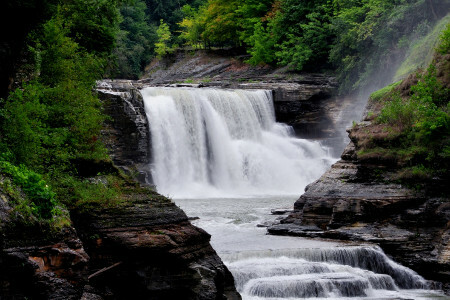 Come explore the natural wonders of Letchworth State Park, less than five minutes from the Country Inn & Suites® by Radisson, Mount Morris, NY. Our location near I-390 gives you easy access to the park’s stunning views as well as the charming Mount Morris area. Visit loved ones at the State University of New York at Geneseo, or find your school spirit and cheer on the Ice Knights with the local crowd. Traveling with family or need extra space? 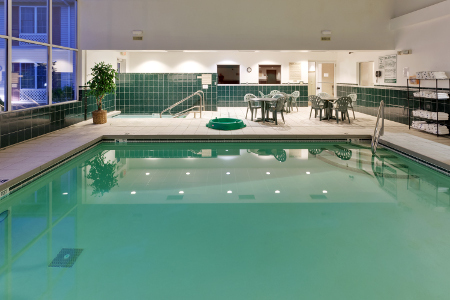 Reserve a Family Suite and enjoy two separate bedrooms, a shared bathroom, two TVs and all standard amenities. Start your day with our complimentary, hot breakfast featuring Belgian waffles, sausage and fresh fruit. For lunch or dinner, check out one of the restaurants within a mile of the hotel, such as Genesee River Restaurant and Doughboys Pizzeria. Letchworth State Park – Affectionately referred to as “the Grand Canyon of the East,” the gateway to this state park is less than a mile from the hotel. Witness the area’s natural beauty from hiking trails, kayaks or a hot-air balloon. Don’t leave without seeing the Genesee River’s three gorgeous waterfalls. State University of New York at Geneseo – Visit this liberal arts college, located 10 minutes from the hotel, to become an honorary Ice Knight with help from noisemakers handed out by the student body. The campus also features the Seuss Spruce, a tree that strongly resembles a Dr. Seuss illustration. National Warplane Museum – About 15 minutes from the hotel, this museum is home to an annual air show and a number of airplanes from World War II and the Korean War. Among these rare planes is a fully restored, airworthy C-47. “Whiskey 7” dropped paratroopers from the 82nd Airborne into France during the pre-dawn hours of D-Day. Host your business meeting or social event in our 420-square-foot meeting space, complete with free Wi-Fi, audiovisual equipment and refreshments. For larger events, the adjacent Genesee River Restaurant and Reception Center offers space for up to 1,000 guests.